Krista Finstad-Milion is an engaged scholar in the field of female/male equality in the workplace and Corporate Social Responsibility. 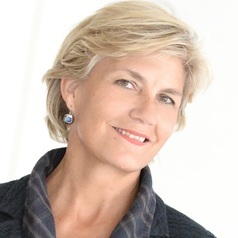 In 2008, as Director of the Executive MBA programme at ICN, she co-founded with MBA students, ICN professors and prominent members of the business and political community, the association EST'elles Executive. EST'elles Executive is today one of the leading women's professional networks in Eastern France and Luxembourg with over 200 members and partnerships with the State, corporations and other associations. Krista represents ICN Business School as an active member of the F/M Equality group of the Conférence des Grandes Ecoles. On the side, she is mayor of a village of 520 in the Vosges which is committed to obtaining the Agenda 21 label. The village won the Vosges department's "Sustainable Development - Living together"/"Développement Durable-Vivre ensemble" for public organisations in 2015. Krista is currently involved in research projects on women's professional networks, sustainable development and gender awareness building in higher education institutes and enterprises in France and abroad. She obtained her PhD at University of Versailles in Saint Quentin on strategic management and the role of the middle manager.